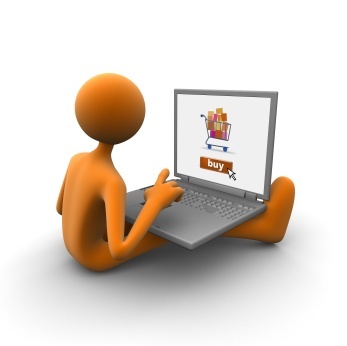 Home /Website Development » How user-friendly should an ecommerce website be? How user-friendly should an ecommerce website be? Your ecommerce website won’t be successful if it looks good, but lacks usability. Your web design should ensure that visitors on your site can find what they are looking for with ease, whether it’s information or products. If your website doesn’t draw attention and facilitate easy shopping, people will buy the products elsewhere. Keep it simple: Your web design layout should be simple and self-explanatory so that visitors and potential customers know exactly what you’re offering. If you want your website visitors to keep coming back, make sure they can add products to their online shopping basket with ease. Navigation menus: Designing an ecommerce website requires a different approach to navigation menus than other websites. With ecommerce sites, the top navigation menus are usually dedicated to product categories. At the bottom of the page, you can have small text links that will take visitors to the About Us Page, Terms & Conditions Page, Shipping Agreements Page and other technical information pages. It’s also a good idea to have a link to the home page at the bottom of every single product page – this will help people navigate the site if they get “lost” amongst your products and categories. Loading time: Visitors and potential customers can easily be put off by slow loading websites. This is also a particular hassle for ecommerce websites, because it can lead to problems on payment processing and shopping cart pages. To prevent this, keep your web design simple. Categorise: Some customers will be looking for specific brand names while others might be interested in the least expensive products. If your web design makes it easy for customers to browse products by brand, new releases and other relevant categories, it will help them find what they’re looking for within a short amount of time. This type of category planning should be done before you start the web design process. Checkout: Visitors and customers won’t return to your website if your web design layout doesn’t provide a smooth checkout procedure. Stick with one or maximum two pages for the checkout procedure.